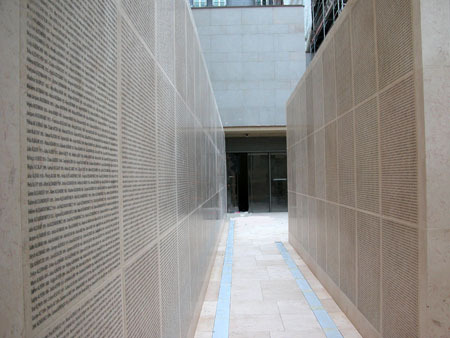 Since 1999, France has been a member of the International Holocaust Remembrance Alliance (IHRA). France supports IHRA’s work, which aims to help governments to organize commemorative events and to promote education and research concerning the Holocaust, and implements them fully at the national level. The main priorities of the French Government include preserving and passing on the memory of the Holocaust, as well as combating intolerance, antisemitism, and all forms of Holocaust denial. Education initiatives should be aimed primarily at the younger generation, who represent a crucial link in the chain of remembrance. Accordingly, teaching on the Holocaust is compulsory in primary and secondary schools, at all ages. The topic forms an integral part of history and literature programs and a particular educational approach is adopted to give pupils a better understanding of the Holocaust, the specific nature and the universal dimension of the genocide of the Jews during the Second World War, the concept of a “crime against humanity”, and the role of the French Government in this context. This teaching is also widely supported and enhanced throughout national territory by various memorial sites, which not only carry out activities to educate young people but also help to train teachers. 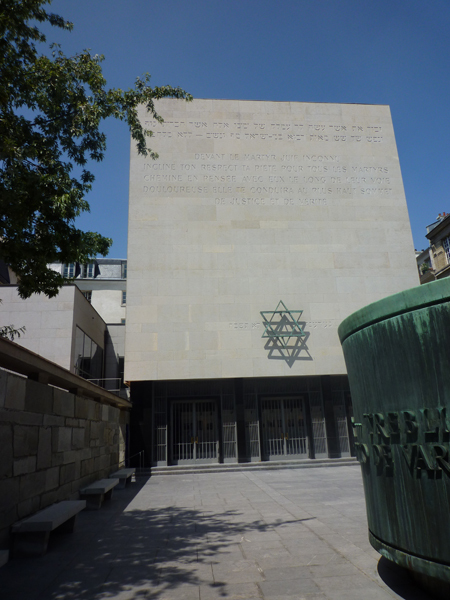 The Shoah Memorial in Paris is heavily involved in providing training for teachers from both France and abroad. 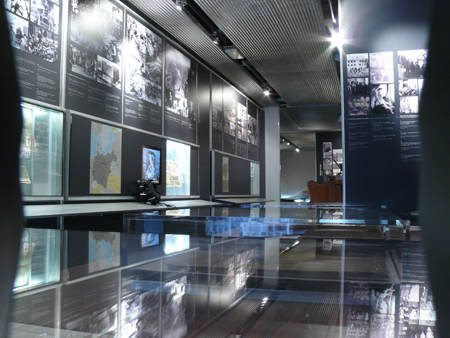 This joint remembrance effort has been strengthened by the opening of a new annex of the Shoah Memorial in Drancy near Paris in September 2012, followed by the opening of the Camp des Milles memorial museum in Aix-en-Provence in the south of France. Specific research projects are being carried out at the Camp des Milles to assess the reactions of the visitors, especially young people, and to evaluate the impact of the museum’s educational approach. These important locations join the extensive list of memorial sites scattered throughout the country which help to carry out the crucial tasks of commemorating the Holocaust, increasing our understanding of it and passing on the memory of it in France. In addition, 1200 French museums have been encouraged to organize specific activities in remembrance of the event. Knowledge is also closely linked to research. Historical research and academic work are key weapons against the loss or alteration of memory and the misrepresentation of history. 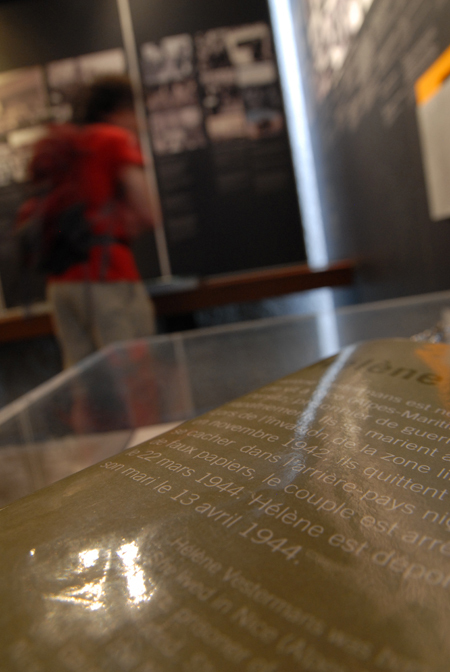 Research on the Holocaust is strongly promoted in France and covers a broad academic area, ranging from history to philosophy. Since the 1990s, the French Government has established a system of transparency and wider access to French archives from the years 1940 to 1945, in order to support the work carried out by researchers. Moreover, a large proportion of these archives have been digitized, which has further facilitated research and access to historical documents concerning that period. Most of these archives are now available online, including those of the national rail company, SNCF. All of these measures demonstrate France’s determination to preserve and pass on the memory of the Holocaust, in close collaboration with the memorial sites located on national territory. In France, the teaching of the Holocaust is mandatory in the school curriculum. It is taught in history class at three levels: at ages 10 and 11, ages 15 and ages 17 and 18. It is also taught in other subjects such as philosophy, literature and language, German, and at times, music. The teaching of the Holocaust has however undergone many changes since the end of World War Two. It is only since the 1980s that education has evolved towards a gradual acknowledgement of the specific nature of the genocide of the Jewish people in World War Two and towards accepting it as a fully-fledged episode in France's history. In 1995 acknowledgement by President Jacques Chirac of France's responsibility in the genocide against the Jews was an important milestone. It reflected France's determination to lay the foundations for deep understanding of the mechanisms which were able to produce genocide while supporting institutions tasked with teaching the Holocaust. 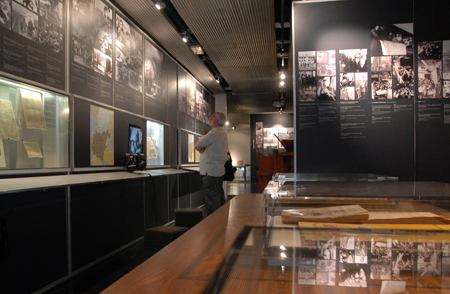 The work of the government is currently primarily carried out by the Ministry of National Education, and the major private national institutions, first and foremost the Shoah Memorial / Center of Contemporary Jewish Documentation and the Foundation for the Memory of the Shoah, which provides financial backing for many actions undertaken in France. 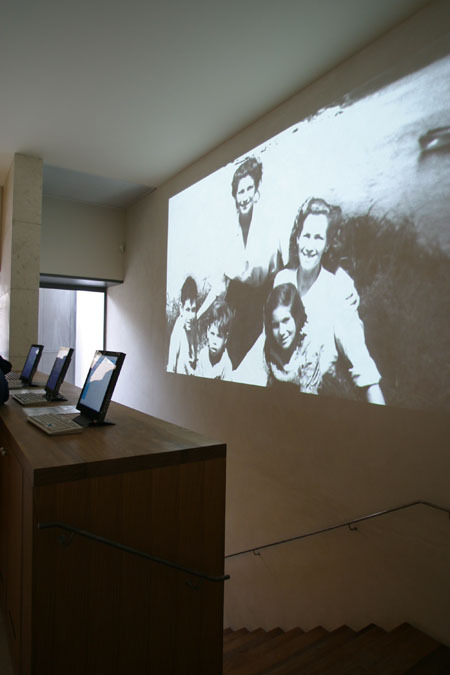 The Shoah Memorial gives lectures to school groups, offers dozens of school visits to historic sites, particularly Auschwitz, and provides courses for teachers every year in all regions in France and several European countries and for other groups such as recently recruited police officers, young judges, and even journalists and librarians. The Shoah Memorial also offers many education workshops and develops a wide array of tools meeting specific needs of teachers and students at all levels. An example is the well-known Web site for young children www.grenierdesarah.org helping primary school children learn about the genocide of the Jewish people. Also, many other institutions, museums and memorials, such as the Maison des Enfants d'Isieu and the Musée d'Art et d'Histoire du Judaïsme, and dozens of associations are helping to support Holocaust education by guiding school visits and providing courses for teachers. It took France many decades to agree to take initial steps to preserve Holocaust memory and recognize the specific nature of the Jewish genocide, thereby renouncing the Gaullist tradition which considered Vichy as an episode that was unrelated to France's history. The deported people themselves saw it fit to take on the duty of remembrance, especially those in the Amicale d'Auschwitz group who unveiled its first monument at Père Lachaise Cemetery in 1949. However, documentation work was already underway. It began in 1943 at the Center of Contemporary Jewish Documentation where, headed by Isaac Schneersohn, evidence was secretly compiled on the persecution of Jews in France. This evidence would be used in justice system work, from the Nuremberg Trials to modern-day cases. After World War Two, Schneersohn decided to build a Tomb of the Unknown Jewish Martyr, whose first stone was laid in 1953. It was the first memorial in the world devoted to the remembrance of six million Jews killed by the Nazis. It provided the foundations for the Memorial of the Shoah, which today represents the largest Holocaust education and research center in Europe. In 1993, President François Mitterand established a National Day of Commemoration of Racist and Antisemitic Persecutions, to which the Righteous among the Nations who helped save three quarters of the French Jewish population would be associated in 2000. In 1995, President Jacques Chirac recognized the responsibility of the French State in the anti-Jewish persecutions in World War Two. As a result, a Study Mission on Spoliation of Jews in France was set up and a Foundation for the Memory of the Shoah was established in 2000 to support education, history research and remembrance. This gradual acknowledgement was based on a number of legally-binding legislative acts and has been coupled since the 1980s with a major overhaul of school curricula and more interest in preserving the places of remembrance and building new museums throughout France. Internationally, France has backed the IHRA since its inception, assuming its chairmanship in 2002. It has been particularly involved in the Council of Europe, sponsoring in 2002 the creation of the Day of Holocaust Remembrance and Prevention of Crimes against Humanity. More recently it backed the creation of the UN-designated International Holocaust Remembrance Day. When the Stockholm Conference gathered, and when the IHRA was founded, research dealing with the Shoah in France already had entered a new era, with political turning points since 1995 and the full recognition of French responsibility in the persecutions on French soil. Since then, academic or freelance research has been dealing with French aspects of the destruction of European Jewry, and contributed to the international debates of the times ("aryanization", restitutions, local aspects...). The Shoah is now an entire part of French history and memory, with its darkest and more positive sides (entrance of the Righteous into the Panthéon in 2007).